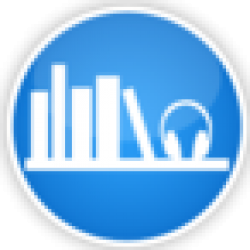 ABR's original Any Witch Way You Can audiobook review and many others can be found at Audiobook Reviewer. 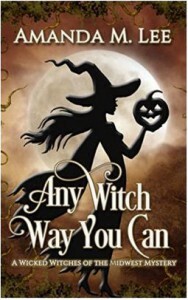 This book is the first in the series Wicked Witches of the Midwest, by Amanda M. Lee, Published December 12th 2012 by Winchester Shaw Publications. Narrated by Aris. The genre of this book is paranormal, modern detective, fantasy and magic. Which are all my favorites. This is a story of the Winchester family, a family of witches that consists of an old aunt (don’t let that fool you, she is quit handful), three middle aged sisters, each one has a daughter (three cousins). Bay Winchester is working as the local editor of Hemlock Cove’s only newspaper, while her two cousins Clove and Thistle work in a shop. A murder happens in the town, and Bay feels she can be in benefit in more than one way, with the help of her family, the town’s sheriff, and a biker, she will solve this case. This was a fun, quick, and enjoyable story, once I started it was hard to leave it (I ended up listening to it in one day). I do, however, have to admit the setting had some big holes in it that left me wondering. The whole town knows that there is a family of witches, and all they do is gaze uncomfortably at them?? Or what kind of sheriff asks the local witch to accompany him to the crime scene?? Yet I felt that the characters were real and believable enough, they were likable. I mean it’s a family of seven women, their bickering and fighting made sense to me (as I’m living in four women family so I know). Although they weren’t as deep as I would have liked. The events were told by the narrative rather than shown, and while the story was fast paced and fun, the characters were kind of predictable and (there wasn’t a lot of events there to start with), interesting, but somehow kind of dull. The narrator Aris did an excellent job with the story, I mostly enjoyed the bickering of the girls, she made it very fun and realistic at the same time, each character had its own accent and tone. Her voice gave the action parts more realism and made them far more interesting than reading. Needless to say I will be looking forward to listen to the second book, and I think I will be finishing this series.